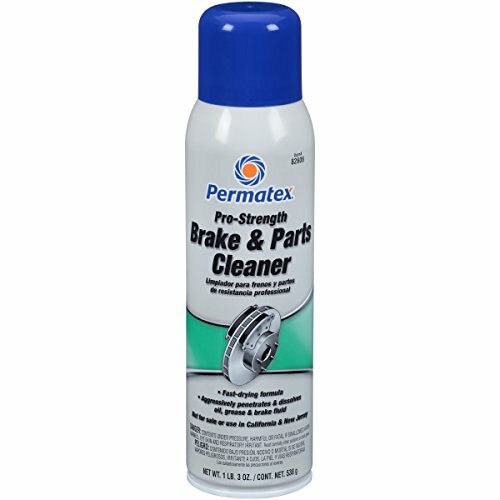 Permatex Pro-Strength Brake & Parts Cleaner is specifically formulated to aggressively remove oil, grease, brake fluids, oxidized oils (gum), and asphalt from all types of brakes and other automotive parts. It penetrates through dirt and corrosion and flushes them away, eliminating the need to disassemble. It leaves no residue, dries fast, and is non-corrosive to metals. This formula was developed for brake professionals and contains no ODCs.